There is a variety of accommodation on the trail - check these out and book. Western Lake Woolshed - done up in style! 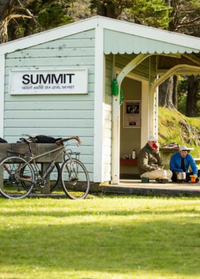 There’s camping at Ladle Bend and the Summit along the Remutaka (Rimutaka) Rail Trail. The camping area at Ladle Bend lies below the Rail Trail near the Pakuratahi River. Don't camp under the pine trees to the left of the Rail Trail (just before the bridge) as these trees have suffered severe storm damage. There is a pit toilet at Ladle Bend and flush toilets at the Summit. There is a basic campsite with a pit toilet at Cross Creek. There is a DoC campground on Western Lake Road at Waiorongomai. You can camp at Corner Creek at the far end of Ocean Beach. 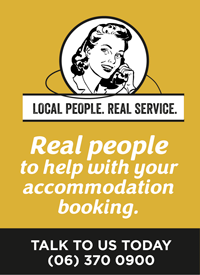 The team at the Martinborough i-SITE Information Centre are local accommodation specialists and can make your bookings and help with transfers too. Get in touch. Check out all about the trail and our handy FAQs. Find out all about the Trail here.